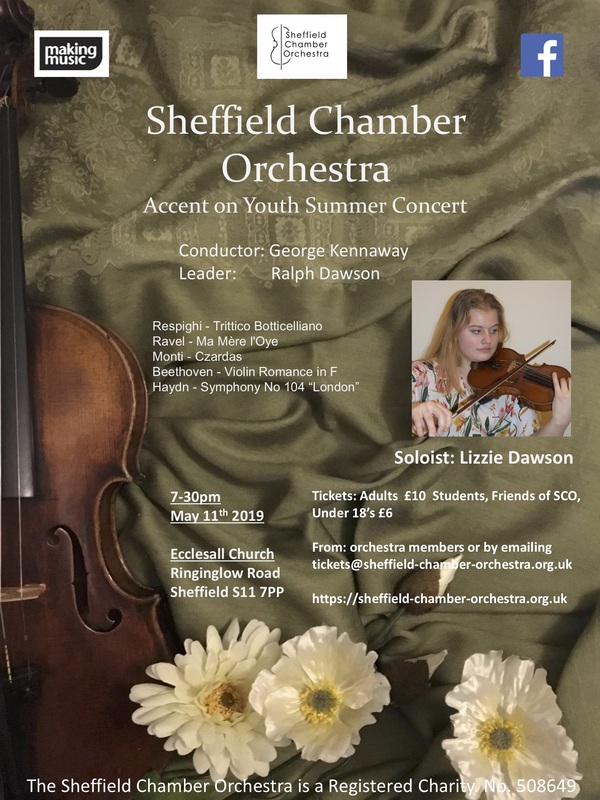 Welcome from Sheffield Chamber Orchestra — a small, classical orchestra of 35 musicians, comprising strings, woodwind, trumpets, horns and percussion, professionally led by conductor, George Kennaway, and leader, Ralph Dawson. We perform three concerts per year, typically in late November, early March, and mid May. For more details of our next concert see below. To book and pay by debit or credit card click the button. For full details including other ways to pay click here. Please browse our site for more information, including details on our upcoming concerts, as well as information on how to get in touch if you would like to become a member or a Friend of the orchestra. We very much look forward to hearing from you, or to seeing you at our next concert.